Northwest 21st has no shortage of lowbrow boozers and upper-middle-class dining establishments. But there's little occupying the middle ground. For that reason, bargoers should be thoroughly grateful for Bantam Tavern. 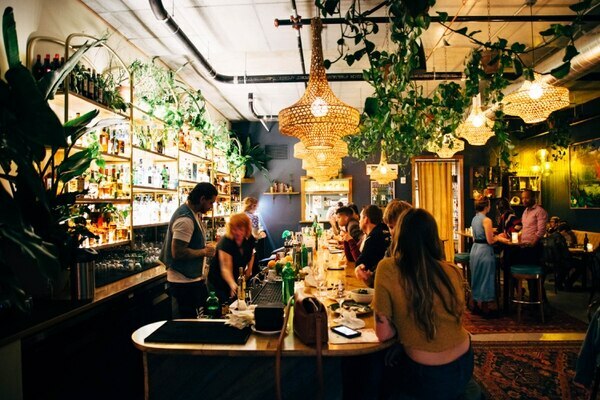 Recently opened by the owners of Prost, Stammtisch and Interurban, the diminutive space will immediately feel just right for anyone who's developed an allergy to the Nob Hill weekend meat market. 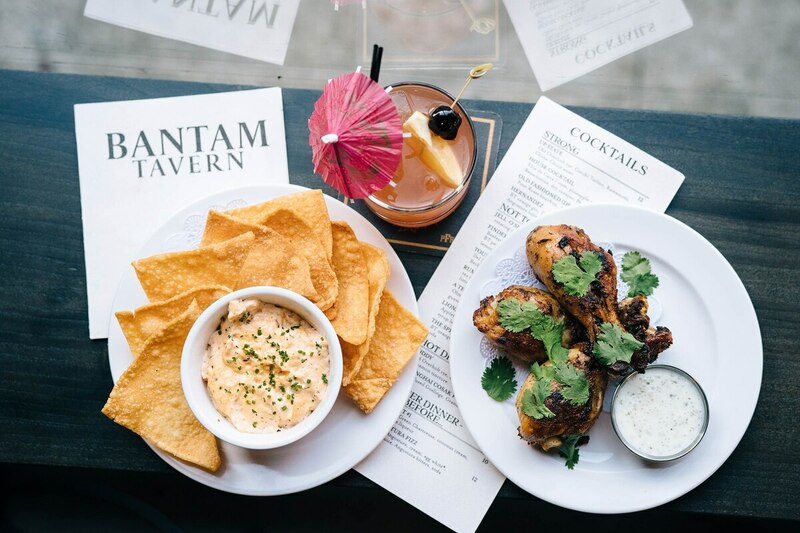 Read the full review: With Bantam Tavern, Three Bar Industry Pros Fill an Important Niche on Northwest 21st. 400 Humpert Lane NE, Mount Angel, 503-845-3030. The monks at Mount Angel Abbey have been brewing beer for years, but they've only recently opened their own taproom. You won't find TV or even hear music there, leading to a profound appreciation of the complex ripple of flavors made possible by a strain of Belgian yeast. The approachable helles, both bready and effervescent, should be an instant crowd pleaser. 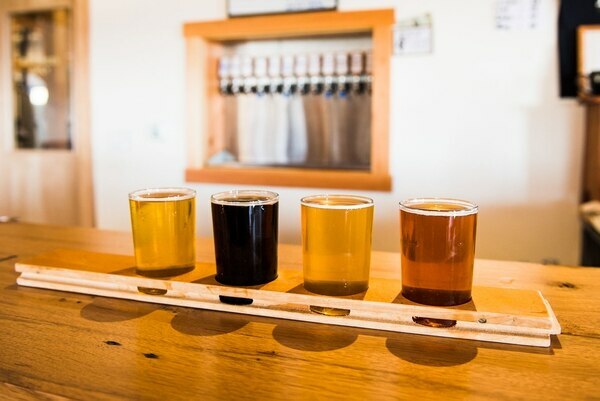 Read the full review: Monks Have Been Brewing Beer At Mount Angel Abbey For Years—and Now They've Opened Their Own Taproom. 920 E Burnside St., 503-206-6223, heylovepdx.com. The retro tropical-themed bar inside the Jupiter Next hotel comes from a superteam of local food-and-drink pros. The décor is a flurry of highly photogenic touches from the South Pacific circa 1976, with intricate floral wallpaper, mismatched photos and a jungle of leafy plants that directly encourage the consumption of sugary, high-proof cocktails. Read the full review: Can the Chilled-Out Hey Love Succeed in East Portland's New Party District? 1329 NE Fremont St., 503-287-4801, rosecitybookpub.com. It has all the makings of a Portland cliché: craft brews, staged poetry readings, rows of old and obscure books. But don't be deterred by appearances. The simple bar manages to fuse two of the city's trademarks—beer and used books—without a drip of pretension. 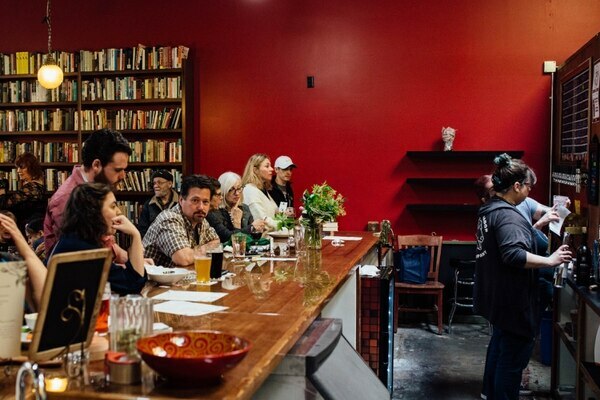 Read the full review: Rose City Book Pub is Portland's Cozy New Bar-Bookstore Hybrid. 121 NW 9th Ave., 503-477-9130, avidcider.com. The brand formerly known as Atlas recently opened its first Portland location. 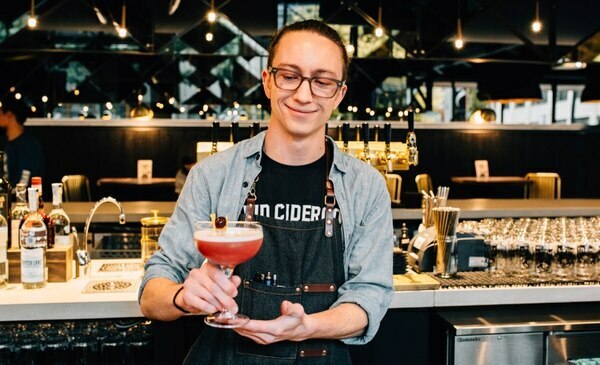 Oregon's second-largest cider label now pours fruity booze inside a substantial pub with a massive U-shaped bar, like a giant horseshoe tossed at the Pearl's Patagucci crowd. Sleek, black walls are juxtaposed with mirrored finishes, and a projector plays high-def videos of people doing outdoorsy things in slow motion. Related: Oregon's Second-Biggest Cidery Debuts in the Pearl.